If we all held unlimited monetary resources, there's no end to what we would provide for "our kids." There are many professions far more lucrative than those in education - but for the most part, you aren't doing it for the money, you're doing it for the intangible reward of helping students learn. And with schools trying to provide so much with so little, choices are forced to be made. And that's why, according to a survey of 1,800 public and private school teachers following the 2015-2016 school year, the average American teacher spends $600 of his/her own money every year on basic supplies. With this in mind, we at VariQuest, being passionate about education, want to help. 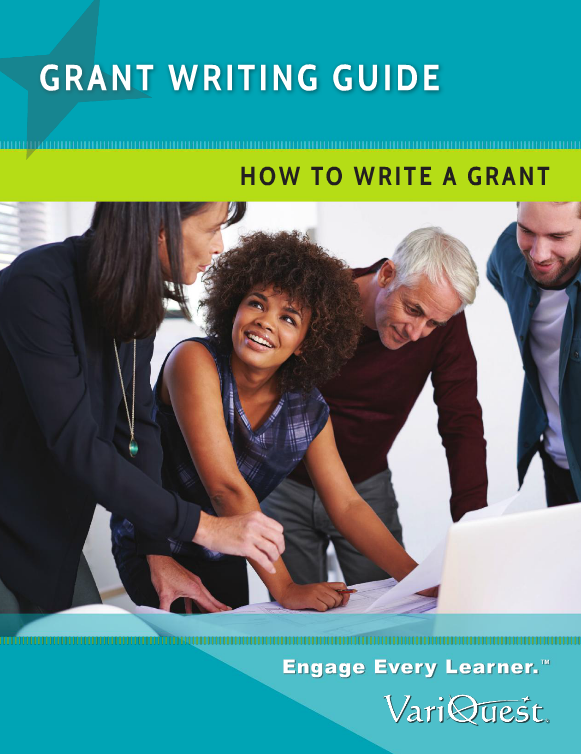 There are many federal, state, and private funding streams available for any number of projects in schools, and the process of applying can be intimidating, so we've developed a free guide to help you learn how to write a grant. Engaging students in a meaningful learning experience is the ideal goal of an educator. Providing every learner with a hands-on, eyes-on, ears-on, and minds-on activity amplifies the learning process and ensures student achievement. STEM, or Science, Engineering, Technology, and Math - is the most talked-about education methodology today - an opportunity for students to envelop themselves in learning that not only teaches them core subject competencies, but also connects those teachings to real-world, meaningful applications. You may have heard the word "makerspace" mentioned in conversations around how to offer an engaging, hands-on learning experience. But what exactly is, a makerspace? "In the coming years, we should build on that progress by...offering every student the hands-on computer science and math classes that make them job-ready on day one." -President Barack Obama, 2016 State of the Union Address It's no secret that there's money in STEM. With related jobs in higher demand than ever before, these fields offer a lucrative career path for interested individuals. But when only 51% of US school districts are cognizant of the $7 billion behind STEM, therein lies the secret that merits promulgation. Billions. That's nine zeros. Before the decimal point.